The Pune Open Coffee Club (POCC) is the name of a group of entrepreneurs, startup companies and aspiring entrepreneurs based around Pune. The self-organised meetups happen at many places in Pune, with many people attending. Recently one chapter of POCC started in Kalyaninagar area. 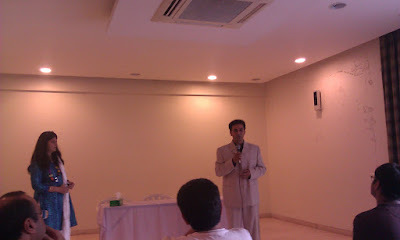 The first meet up of this chapter was on 20-03-2011. Three talks were scheduled and only two were able to talk due to time limits. Speaker no. 1: Narendra Barhate – The CEO of SEED Infotech shared his success story of how his startup in Education sector, the challenges they faced and became a success. One of the interesting thing he shared was how SEED info tech faced and survived the 2004 financial slowdown. Speker no. 2: Prof Dr Anil Lamba – The founder of Lamcon School of Management and a practicing Chartered Accountant. 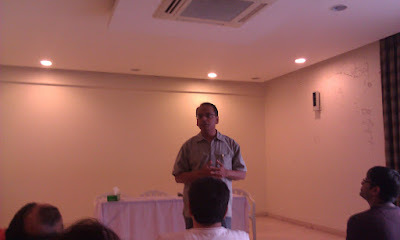 Dr. Lamba shared his knowledge on the financial management aspects in businesses. In his opinion many companies do not even have the basic understanding of financial management principles. The meetup concluded promising more of such gatherings will be done at least once in a month without interfering with other POCC meetups. An year back , I came to know that there is an event called Barcamp that is happening in my neighborhood. Which is an unconventional way of gathering of like minded people, mostly passion driven, in order to maximize networking,sharing and learning diverse ideas. It is a user generated ‘un-conference’. And on 28 th March 2010, the latest BarCampKerala was happened in MACFEST, Thiruvalla. You can check the BarCampKerala web site for details. Though as many as 17 sessions were registered, few didn’t turn up, may be due to genuine reasons. A presentation on Artificial Intelligence backed power saving technology christened SPARA from Artin Dynamics. 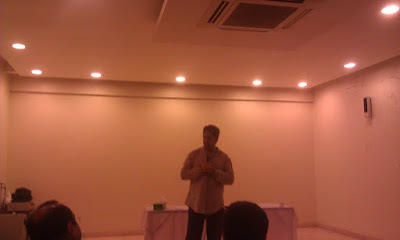 A presetation on ‘Startups in Kerala’ by a law consultant, Ivan (twitter:@ivan457). Alan Haggai ‘s presentation on perl programming language and community. Communication – Talk to people with smiling face. Read the mind. Good will – Learn the meaning of compassion, humanity, kindness,optimism,positivity…. Health – Daily workout is a must. Imagination – Use the creativity. Imagine what change it will make when you offer your product or service. Innovation – Convert those flash lights on your head to solid reality. Knowledge – General awareness, current affairs. Networking – Networking with large number of people. Mathematically $ ∝ n 2 , n is the number of people you know. Observation – Observe what your senses offering to you. Everything is information and opportunity. Passion – passionate about what you are up to is the key to success. Risk – Assessing and risk planning. You may need plan A, plan B …. plan Z, plan AA, plan AB ……. Never say there are no plans. Taking calculated risks is a skill.